Why Is It Worth a Read? : True story: I really don’t know what this comic is about. I’m that weird reader who doesn’t try to learn anything about a comic before it comes out, instead trusting in creators. But it’s Graham and Churchland telling part of a big, sprawling fantasy story, and it has a really lovely cover (with odd, basic lettering but, you know, that’s that). I trust in the fact that these creators will tell something worthwhile and special like we’ve come to expect from them. Until they give me any reason to not believe in that, I’ll be fine with going in basically blind. Why Is It Worth a Read? : This comic is amazing. Really. The first issue was probably my favorite comic of the year, and it was a wild, unexpected ride. 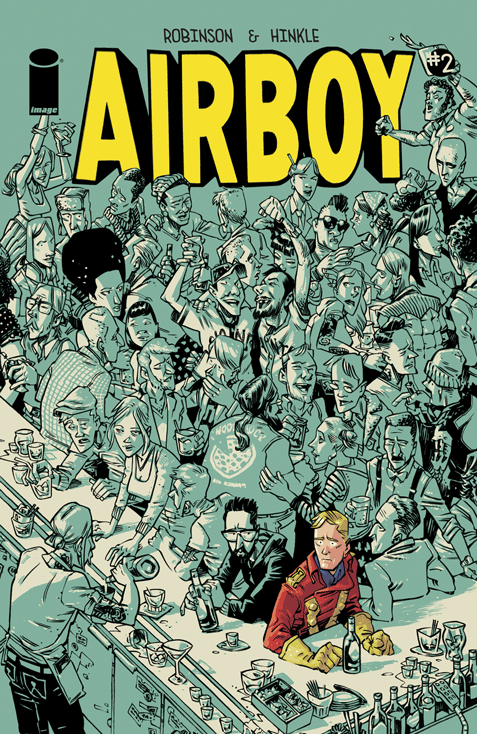 It’s called Airboy, but it’s basically a Hunter S. Thompson fever dream of a comic starring Robinson and Hinkle (and occasionally others, like Image’s Eric Stephenson) as they attempt to come up with a new Airboy comic now that the character is in the public domain. It’s intensely honest and brilliant visually, with Hinkle’s art grounding the book in a cartoony realness that makes it all dirtier and grimier yet gives us some critical distance, and it’s just spectacular. You should definitely be reading this book. Why Is It Worth a Read? : I’ve been reading AV since day one, and I have to say, there are some times where I think about not carrying on. The Blacklist? That almost had me check out for good. Then I got to the 5th issue of this Second Cycle, and it reminded me why I read this book: it does creepy about as well as any comic, and its art is spectacular. 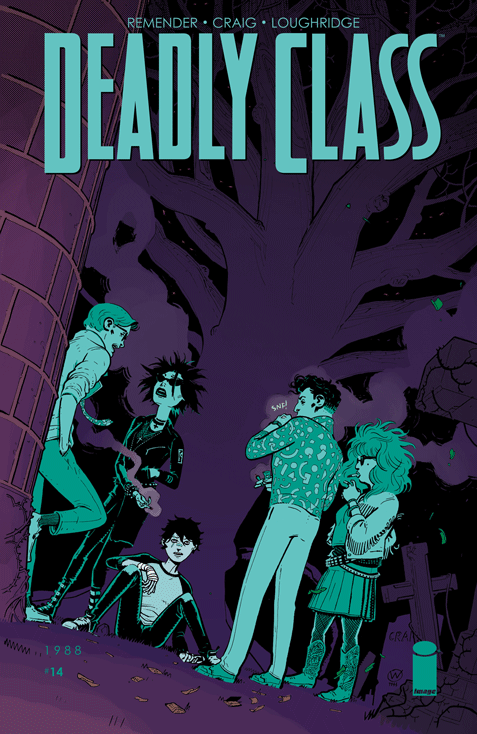 While it isn’t the month-in, month-out hit it used to be, it’s still a well crafted comic with consistently great art. This arc has been an entertaining one, with the whole “vampires in space” shoving the insanity up to 11. While I don’t love it always, right now, I feel the love. That’s enough for now. Why Is It Worth a Read? : Old man winter, coming through! 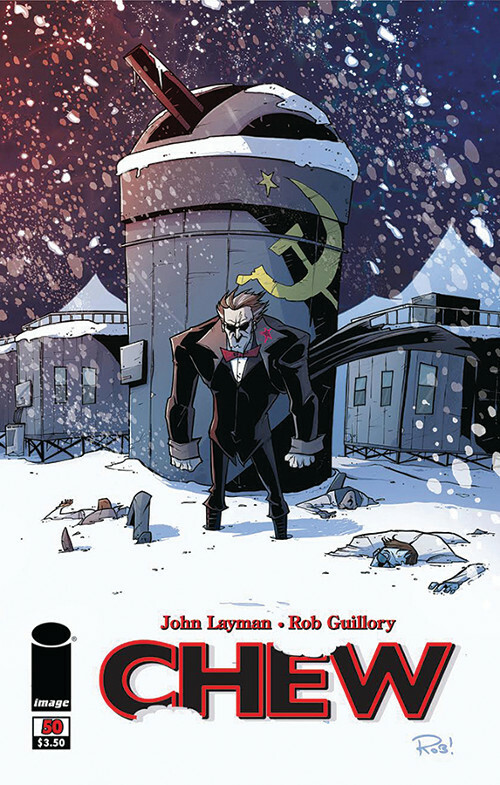 It’s hard to believe, but Chew is turning 50. How wild is that? I remember the book coming out and debating whether or not to get it, before I ultimately left the shop and then went back to get it after I heard too many good things…only to find it sold out. That’s the story of how the 50th issue of this series became the first one I ever read. Just kidding. I found a copy of #1 and I’ve been reading it ever since, and this issue brings a lot of the story threads to a head. I’m not sure what’s coming, besides death and lots of it, but I’m eager to read this. 6 years later, this book is still running strong, and I’m loving it as much as ever. Why Is It Worth a Read? : This is one of my absolute favorite comics, and the biggest reason why is the art. Wes Craig is a madman and a freaking genius. He’s my favorite artist in comics right now, and he’s been an absolute destroyer of worlds on this book. Lee Loughridge has been a boon as well, helping take the work to the next level, but Craig…the guy’s a storytelling god. That Rememnder chap ain’t bad either, but the art…man. This issue should be very interesting, as the ending of the last issue was a heartbreaker and a game changer, and I’m curious to see what’s next for the book. If we’ve learned anything so far from it, it probably means more darkness. At least with Craig on art, it’s a beautiful darkness. Why Is It Worth a Read? : I mentioned this last week, but I’m definitely a fan of Mark Millar. He makes a brand of comics that I enjoy, telling exciting, character driven comics that are highly enjoyable to yours truly. 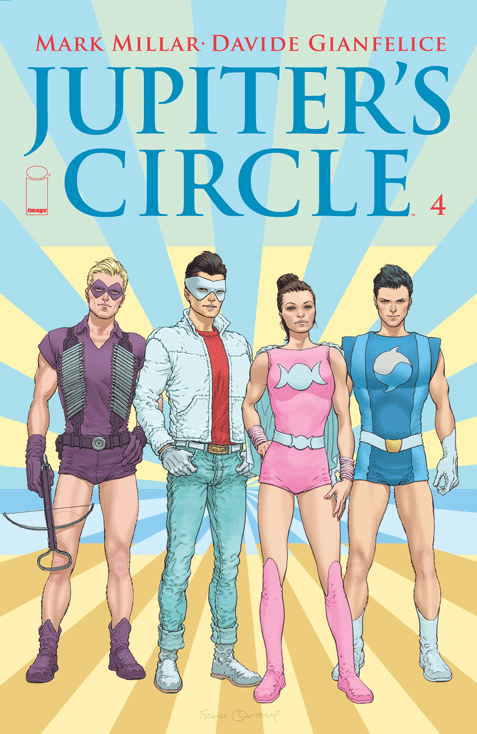 Jupiter’s Circle has been no different, as his collaboration with Torres in a prequel to Jupiter’s Children has led to some very entertaining and engaging stories. I’m not really sure what the general bent of this series is, or what its ultimate point may be, but so far, I’ve been enjoying the ride. Why Is It Worth a Read? : This book is pretty much never talked about. Ever. I’m not sure if that’s because it’s a Kirkman joint or that it was immediately optioned as a TV show so it’s perceived as a means to an end rather than a real comic, but I can tell you what it isn’t because of: any lack of merit. This is a good comic. 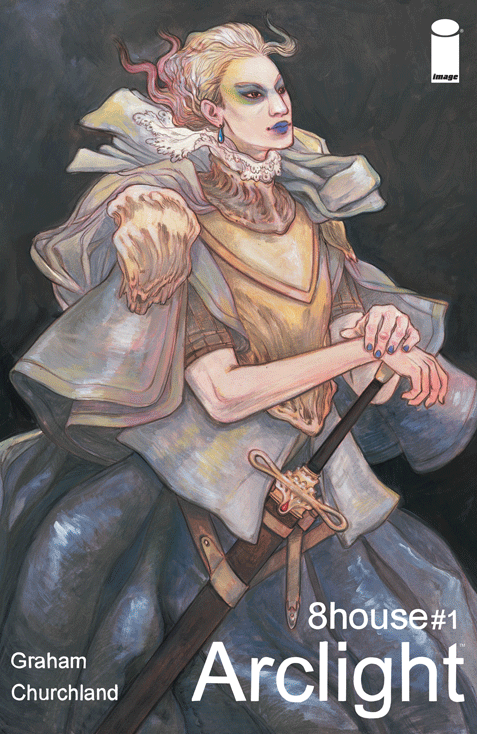 It’s a sad, solemn one, but it’s an expertly crafted and paced book featuring some of the best art in comics from Azaceta and colorist Bettie Breitweiser. 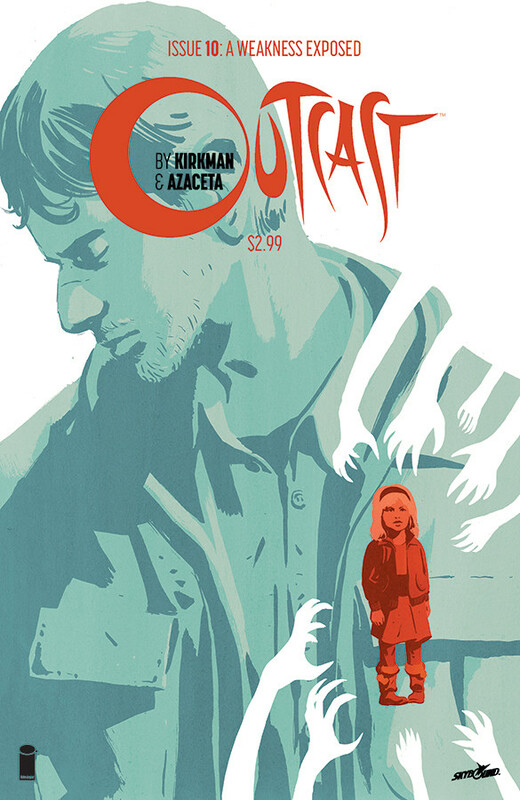 This book permeates loss and creepiness, and it’s actually the book that I feel sort of jumpstarted a resurgence in Kirkman as a comic writer. If you’ve been passing on it, I’d recommend checking it out in trade. It’s a very solid comic. Why Is It Worth a Read? : I freaking love Secret Wars. Really. This book totally rules. 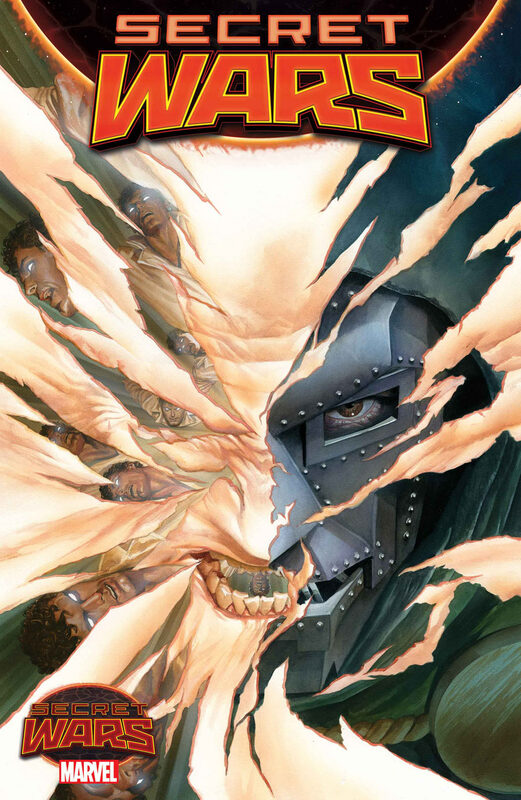 It’s everything I want from an event comic, with the type of art that feels like it’s taken out of Ronnie James Dio’s dreams and the type of story that is the most batshit crazy yet confident Marvel fanfic that has ever existed. I mean both of those things in highly complimentary ways, and we’ve seen Hickman and Ribic do big, big things already, and there’s just something about this event that feels different than ones in the past. While there have been a litany of event comics in recent years, Secret Wars reveals them all as what they always were: pretenders to the throne. Hail to the King, baby. Why Is It Worth a Read? : I may have mentioned I like this book before. However, just because I did before doesn’t mean it isn’t worth mentioning again. This book is really, truly an absolute pleasure each and every month, and North and Henderson are crafting one of the most fun and quality books around right now. 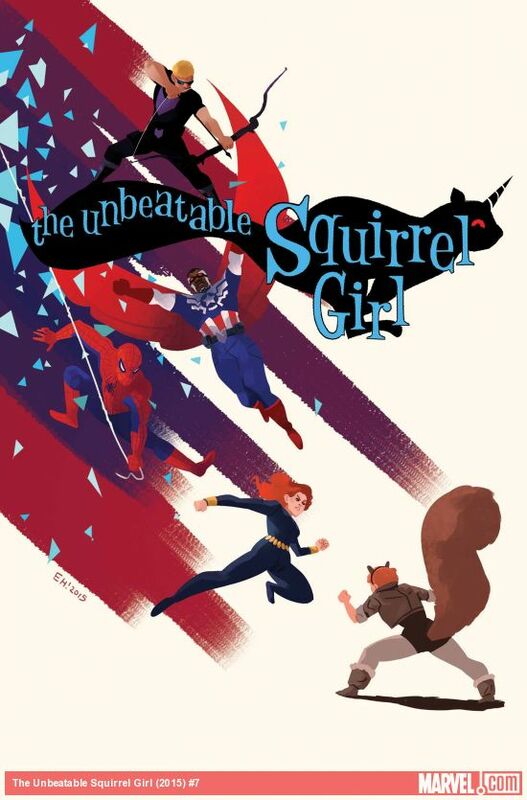 If you’re looking for a Marvel book that is a bit off the beaten path, this is the one for you. It’s well worth a read for readers of all varieties. Why Is It Worth a Read? : A new comic written by Brian K. Vaughan? Does it really need further explanation than that? Probably not, but I’ll go there anyways. Skroce is an artist I’ve long enjoyed, although it has been a while since I was able to. Truly, the last time I remember reading a comic from him was in the world of X-Men when I was a kid or early teenager. He’s a talent, though, and it’s not like BKV is prone to working with schmoes. 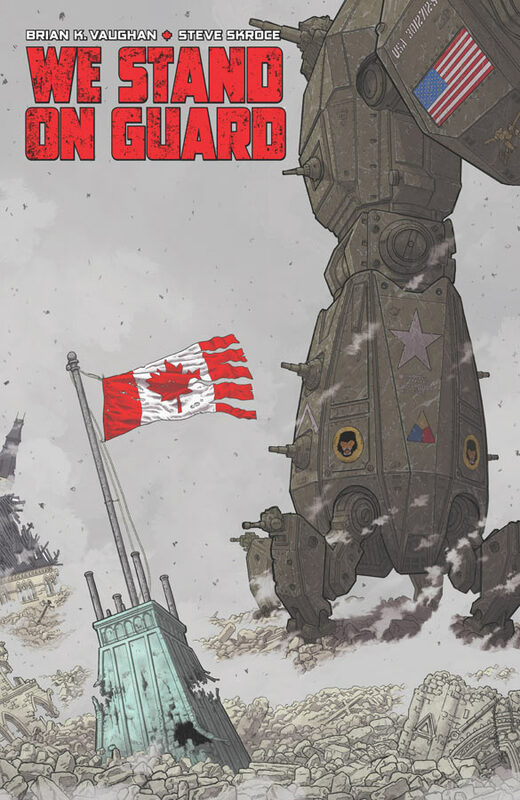 Plus, this book is apparently about a war between the US and Canada, and all I’m really reading to find out is where Alaska comes in the mix. 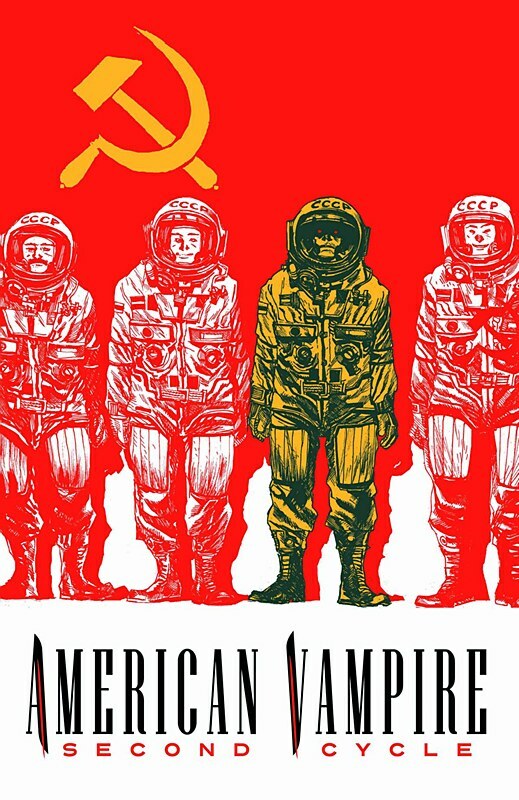 I live in Anchorage, Alaska, and I’m very curious to see where BKV positions us. Tread carefully, Brian. Tread very carefully. Why Is It Worth a Read? 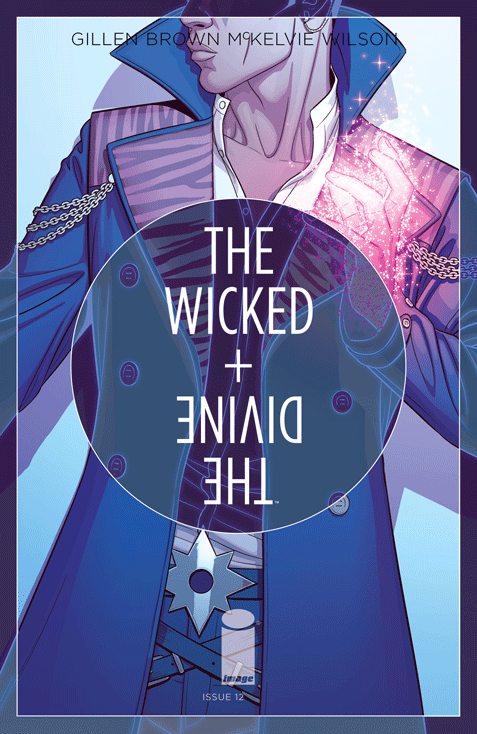 : The Wicked + The Divine is a book that it seems you either love or just aren’t into, and for me, I definitely fall on the former side. It’s a very modern tragedy, complete with the unruly gods, and it’s a book that has steadily progressed in quality as the story has built. While there’s a part of me that worries the book might lose momentum as it takes a little narrative siesta to focus on characters as series artist Jamie McKelvie works on Phonogram, I am excited to see different artists envision this world. Kate Brown’s an exceptional talent, and I’m very excited to see her work with Inanna, one of my two or three favorite characters from the series so far who is still actually alive. Why Is It Worth a Read? : I’ve been really enjoying most of the Secret Wars tie-ins I’ve been picking up, and Years of Future Past has been no exception. 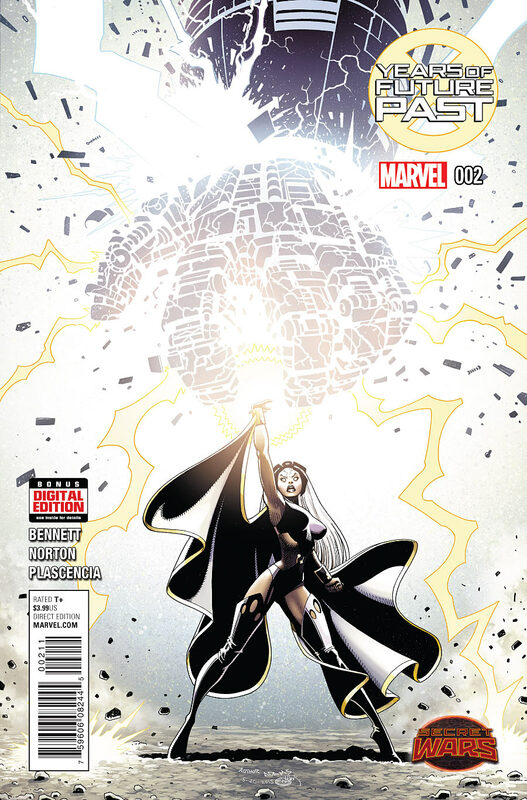 While it’s not a home run like Planet Hulk or The Infinity Gauntlet, Bennett and Norton are telling a very enjoyable tale that feels more like the X-Men than the X-Men have felt in a long time. That’s both a qualitative statement on where they were before and on the work that duo is doing, but still, this is a good read. The one complaint I have is that it takes Norton away from his work on Revival, but I suppose them’s the breaks.